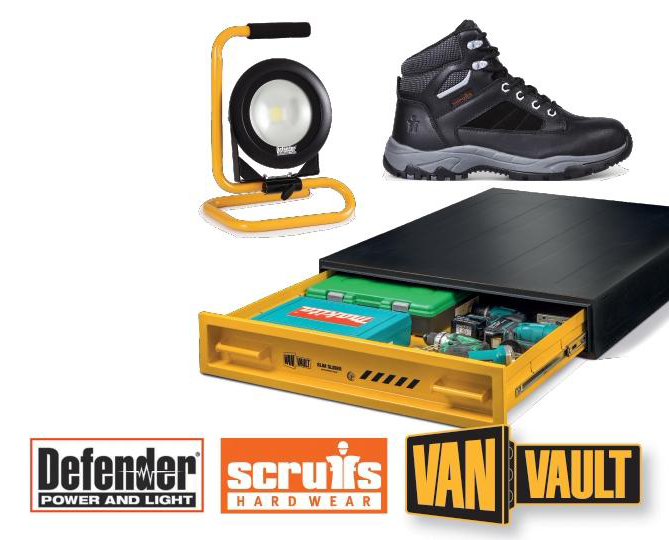 Security & Style with Viessmann aims to encompass the needs of installers with items available from Van Vault, Scruffs and Defender. With the most comprehensive collection of rewards on offer and items starting from as few as 100 points right up to 2000 points, what are you waiting for! Accrue points on your purchases of Viessmann Vitodens boilers up to 150 kW and Vitocell cylinders and redeem the points for any of the multitude of professional products included in the Security and Style 2019 promotion. Support your business with complete Security and Style rewards in 2019 with Viessmann. Accrue points on your purchases of Viessmann Vitodens boilers and Vitocell cylinders and redeem the points for any of the multitude of professional products included in the Security and Style 2019 promotion. From beanie hats to Van Vaults, we have you covered. Click the link below to view the full range of products available in this promotion. Claim forms for commercial boilers and DHW cylinders must be received with copies of supporting evidence, for clarity these are: merchant or manufacturer invoices. Please note: to process your claim we will need to send your personal details to the supplier. By entering this promotion you authorise us to do so. You can find our full data protection statement here. View or download the promotion brochure and claim form. Looking for a Viessmann stockist near you? Use our handy search tool. This promotion is open to Installers from Great Britain only. This promotion is available on all Vitodens boilers up to 150 kW (Domestic and Commercial) and Vitocell cylinders. This promotion runs from 1st January 2019 to 31st December 2019. Claim forms must be received no later than 31st January 2020, with copies of supporting evidence, for clarity these are: merchant or manufacturer invoices for commercial boiler and DHW cylinder claims, all domestic boilers and light commercial boilers in domestic buildings, must be registered on the Viessmann Installer Portal or the Registration UK App and the appropriate registration certificate number provided, e.g. V1234567. Date of installation must be after 1st January 2019 and the date of boiler registration must be before 31st December 2019. Claim forms must be returned to: Promotion Support Services, Viessmann Limited, Hortonwood 30, Telford, TF1 7YP. Viessmann accepts no responsibility for claims lost in the post, incomplete claims, illegible or damaged claims or claims not delivered by the closing date. Proof of posting does not constitute proof of delivery. This promotion cannot be used in conjunction with any other promotion or price supported purchases. Viessmann reserves its right to reject any application that does not meet the terms and conditions of this promotion. We will endeavour to deliver within 28 days subject to stock availability. Reward gifts may be classed as a benefit in kind and accordingly declared to HMRC on your P11D’s. Viessmann Ltd cannot be held responsible for any personal Tax or National Insurance Contributions arising from these rewards. Please note: in order for us to process your claim we will need to send your personal details to the supplier. By entering this promotion you authorise us to do so.